Wicked Ram, huh? OK! 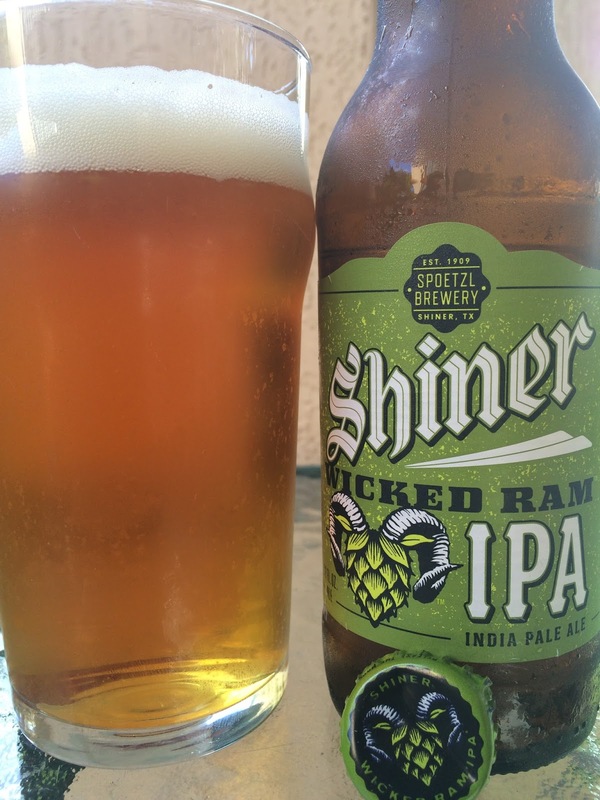 The label doesn't really tell you why Spoetzl named their very first IPA after a ram. Please tell me it's not just so they could suggest you "grab the beer by the horns!" The label does show a thumbnail of a "ram" created by putting some big horns on a hop cone head. The creative idea needs some work! 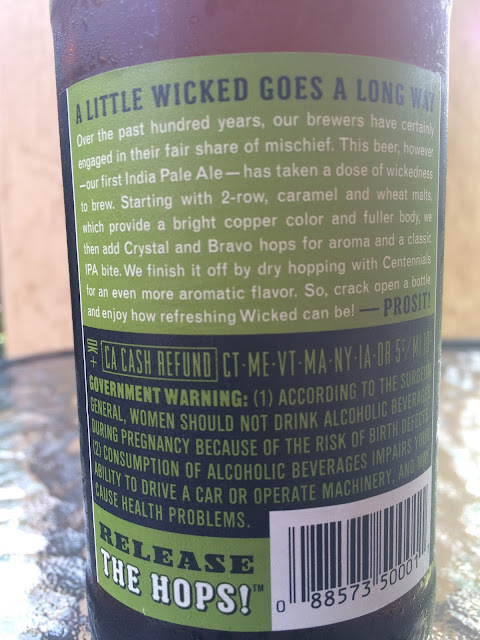 6.0% alcohol. 55 IBU. Nice fruity orange aroma, lightly sweet and pleasant. Sweet orange and light tropical fruity flavors come at the beginning. Has a nice tang, too, throughout. Hoppy with a grassy, spicy bite especially at the finish. Bitterness builds as you drink more, and that tang lingers after each sip. Not bad though the category is full of superstars. I suppose they could be going for some loyalty Shiner angle. Check it out!